Mangapēhi is a good illustration of the prosperity particular industries brought to King Country localities, but also the perils of relying on a single industry. 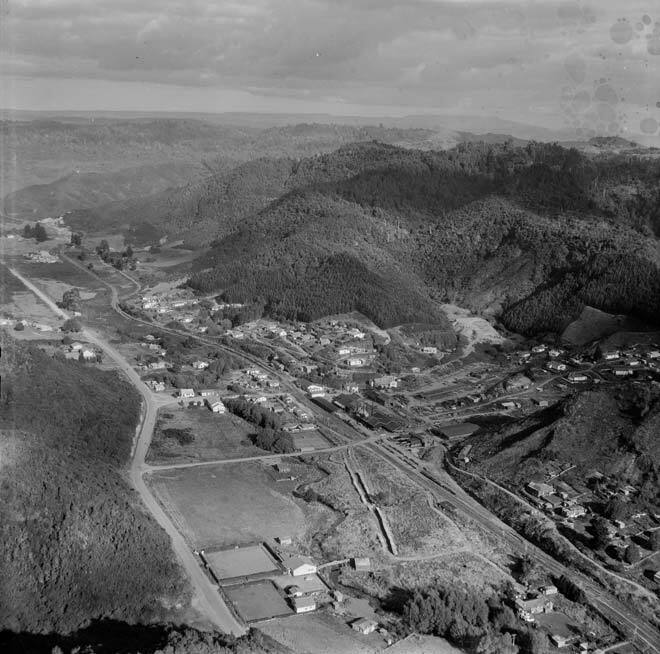 Mangapēhi was founded as a sawmilling township and was a small but busy place during the milling years, as this 1955 photograph suggests. However, after the last mills closed in the late 1960s residents moved elsewhere for employment reasons and the township foundered. In the early 2000s there were hardly any buildings left in Mangapēhi – almost all those photographed in 1955 had gone.